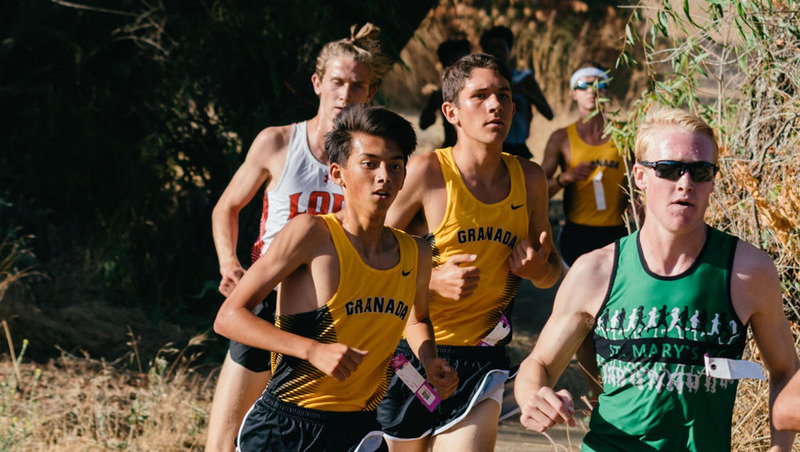 On Tuesday night, July 18, 49 souls lined up to race a 2-mile course at Sycamore Grove Park, representing a small microcosm of the Granada Cross Country program during the past decade. Parents and athletes brought food and drink to celebrate and people enjoyed the event. 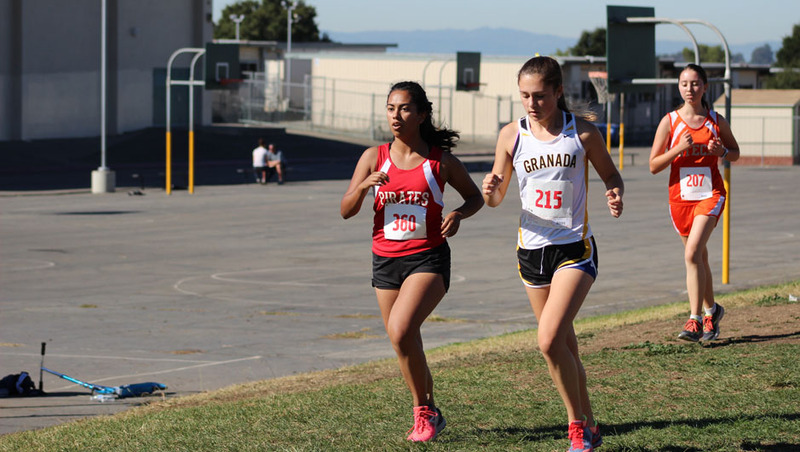 The Matadors had 31 personal records at the center meet on Wednesday. The FS Girls started the day with a great effort from Taylor Bond who finished in second. The girls took 3rd place. The FS Boys took 5th place and were led by Andy Lau and Josh White and both broke the 19 minute barrier. The JV Girls took 5th place with a great performance from Lexie Homen who averaged 7:21 pace for the 3 mile course. 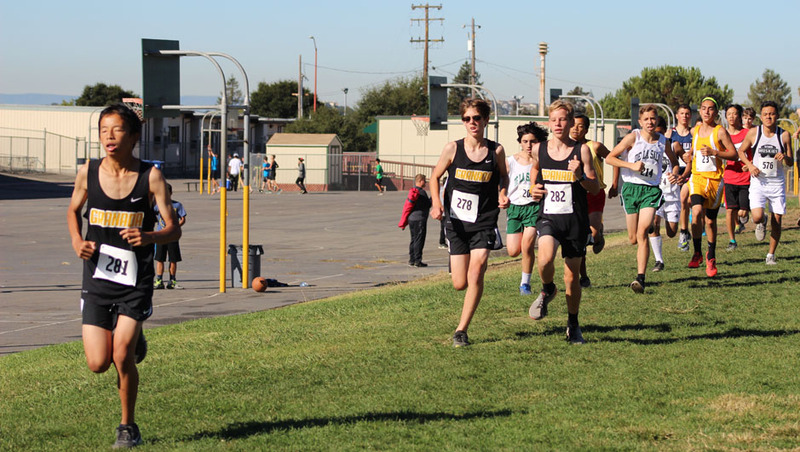 The JV Boys went 1-2 from first time cross country race winner Matthew Reddick and freshman sensation Seth Jeppson to propel the team to a first place finish. The Varsity Girls went 1-2-3 from Bihari, Bartolotto, and McCandless and secured the team victory. 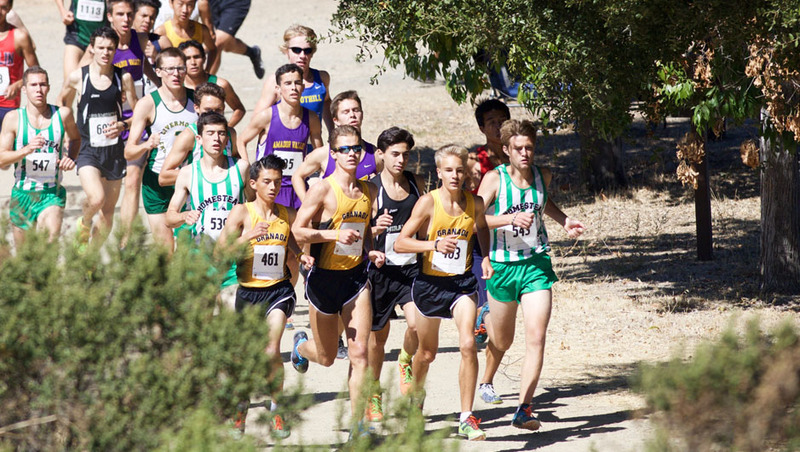 The Varsity Boys faced challenges from four teams and ended up in 5th place. Despite the disappointing finish 9 of the 10 boys raced to personal records and the team was more than 2 minutes faster than last year. All photos by Bob Priest. 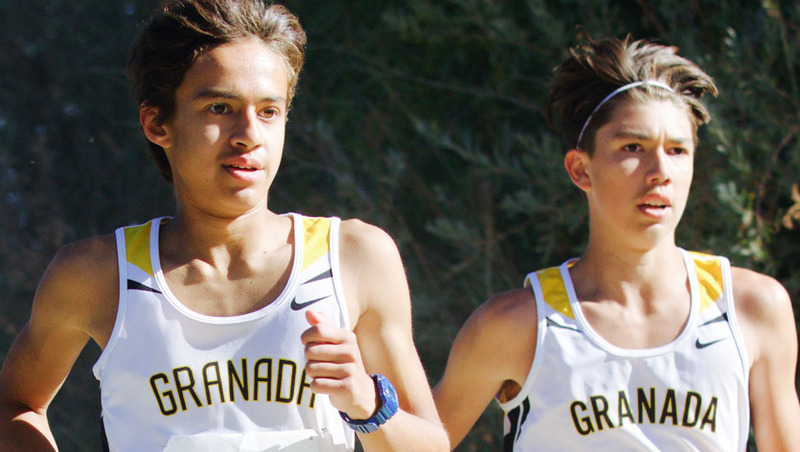 Granada raced at Canyon Middle School on Saturday for the Castro Valley Invitational. 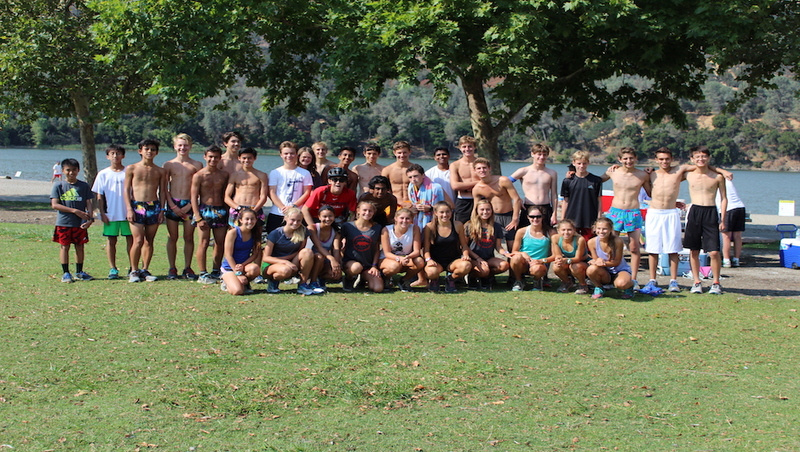 The freshmen boys, frosh-soph girls, and frosh-soph boys represented the Matadors. The course is a challenging 2.1 mile race that features a large hill. Great job to the following competitors: Andrew Lu, Anthony Guerra, Caleb Harwood, Yarin Dan, Nathan Woolsey, Thomas Mennink, Cameron Gray, Jacob Walker, Mya Voigtsberger, Anastasia Kozin, Emily Bowles, Emily Cain, Taylor Bond, Ariella Stewart, Clara Crittenden, Grant Montgomery, Matthew Larson, Ritwik Aluri, Connor Crampton, and Adam Murphy. 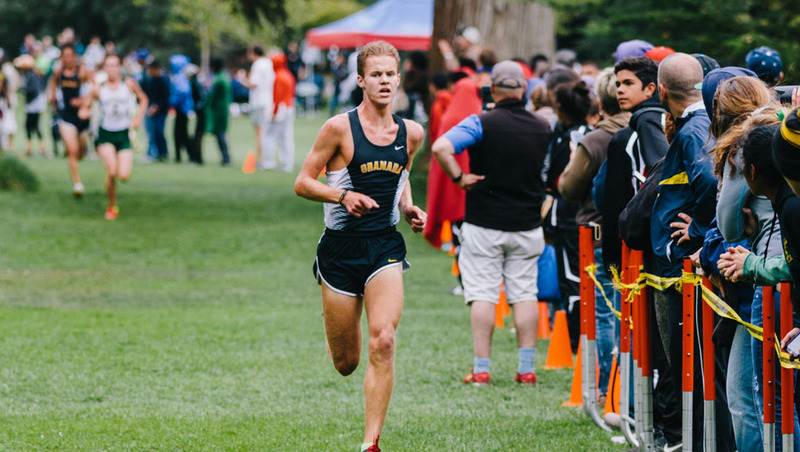 Full results will posted soon to xcstats as well as an update to this site. Freshmen at the starting line. 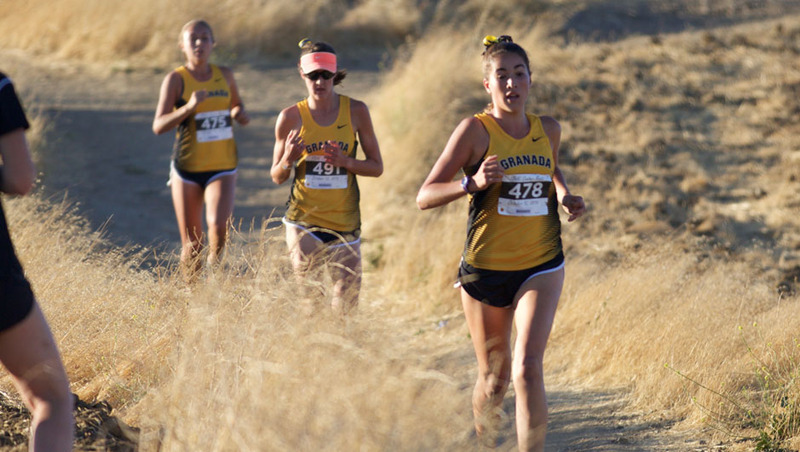 A strong day for the Matadors as they took their first visit to Shadow Cliffs to preview the EBAL Championship course at the Scott Bauhs Invitational. There were no team scores as the race is run by year in school. 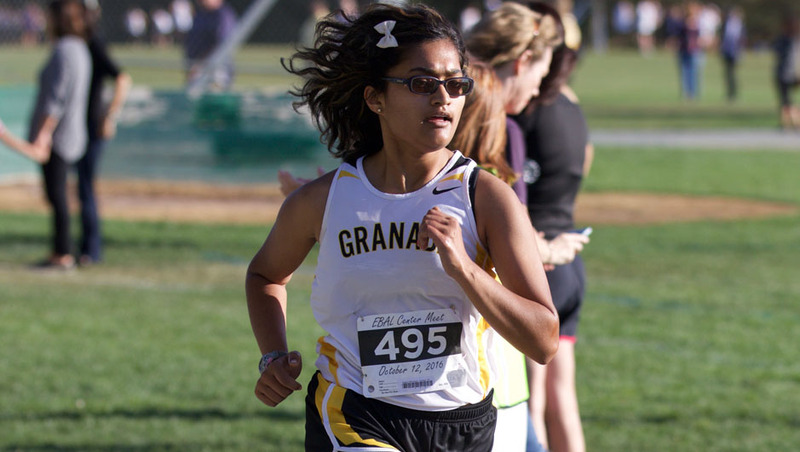 The girls placed three athletes in the top 10 all-time list for the meet and the boys placed four in the top 10. You can view our all-time list for this course at this time of the season by clicking this sentence. Below I’ve included Jeremy’s summary. 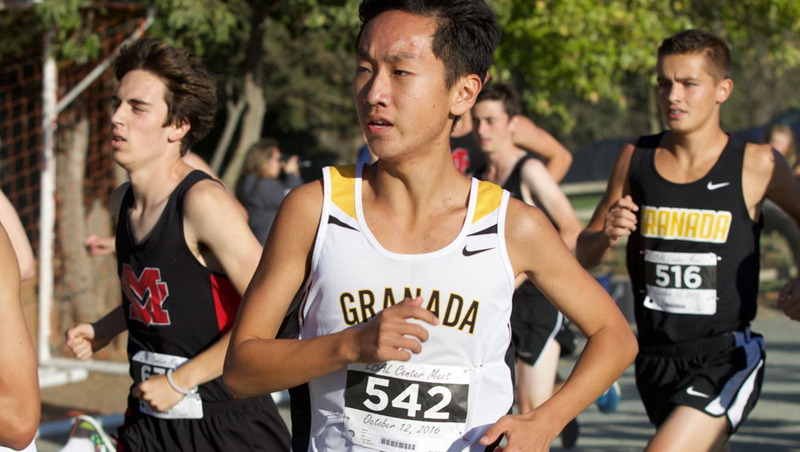 Granada Cross Country raced at the Scott Bauhs Invitational on Saturday. 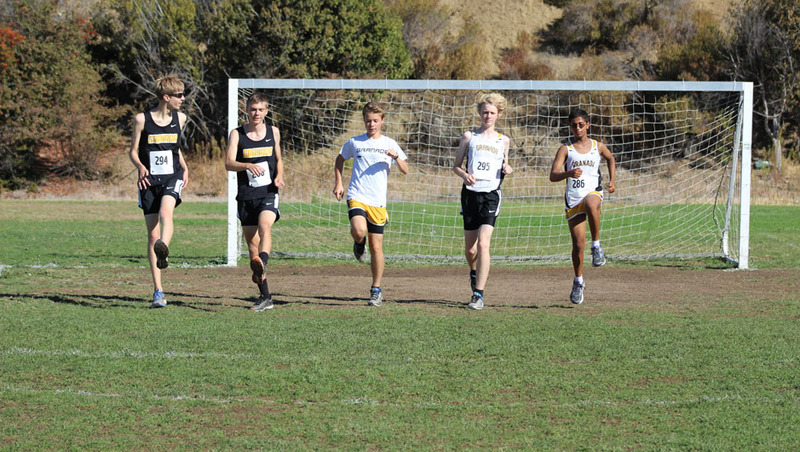 All runners competed on the 2.95 mile course at Shadow Cliffs. 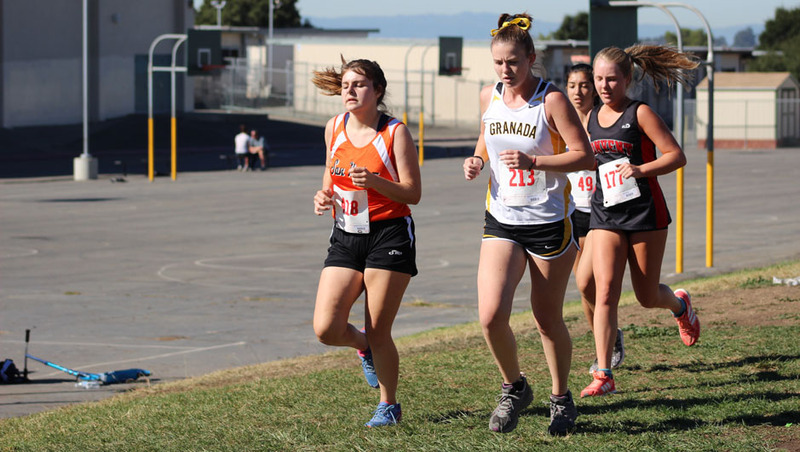 This was a terrific opportunity for our runners to acquire race experience on the course which will be used for the EBAL Championships in November. 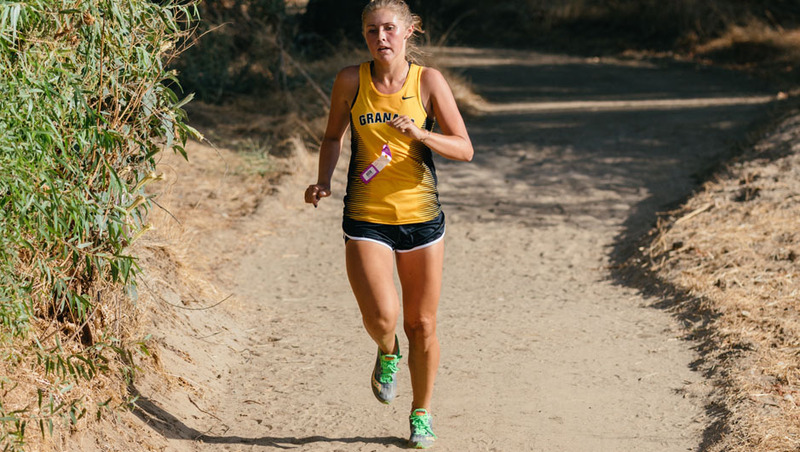 In girls racing, Kinga Bihari placed 2nd overall in 17:27. The only Matador who ranks ahead of Bihari is 2016 GHS grad Megan McCandless, who last weekend claimed her first collegiate win for MIT. 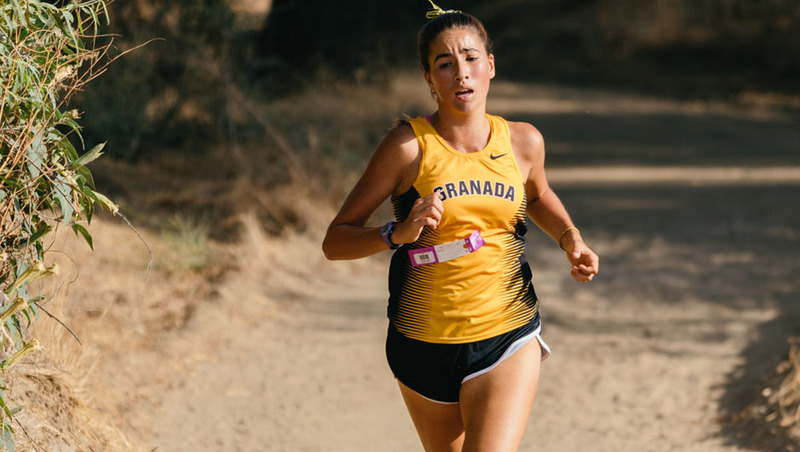 Colleen McCandless, Kalea Bartolotto, and Daisy Guinchard finished in the top 12 overall to spearhead another powerful outing for Granada. The boys action also featured some outstanding performances. 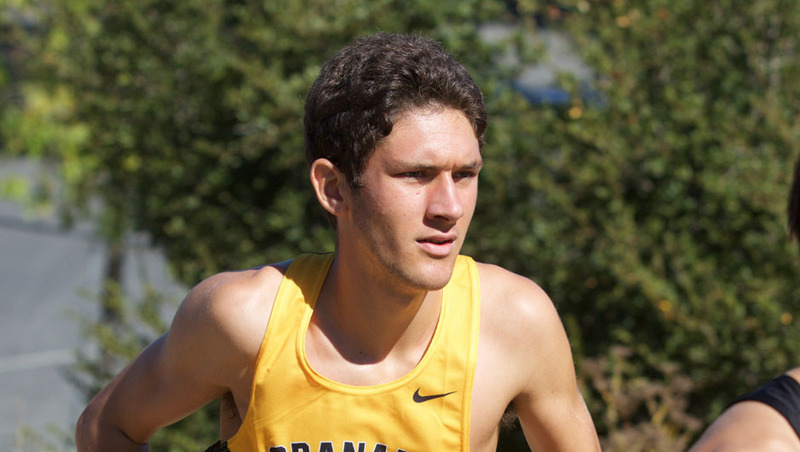 Junior John Bennett posted the fastest time of the day with his 15:32 victory. 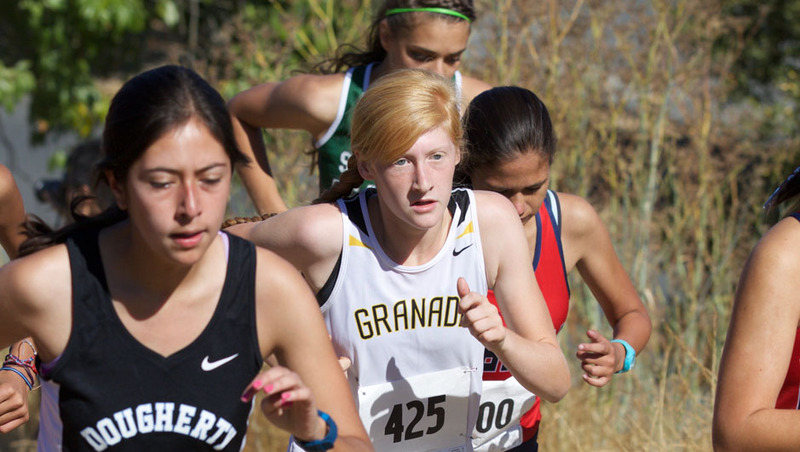 The Matadors placed 6 in the top 11, and 9 in the top 22. 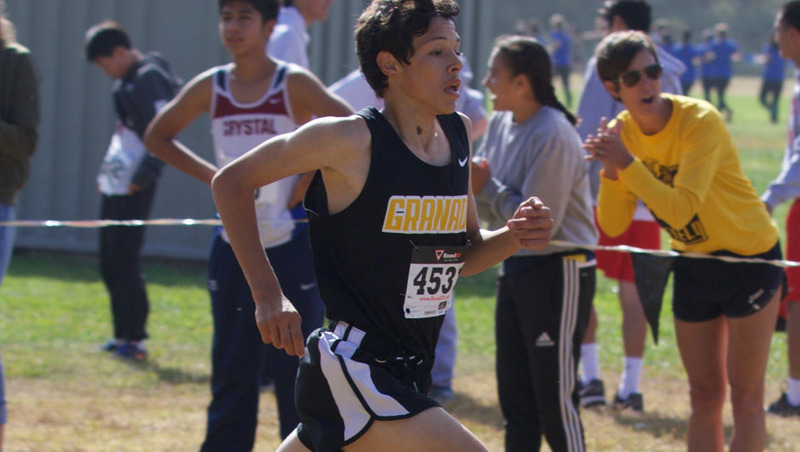 Amongst the most impressive efforts of the day, Julian Galicia-Thomas improved his personal record on the course from 17:47 (9th) to 16:18 (10th). 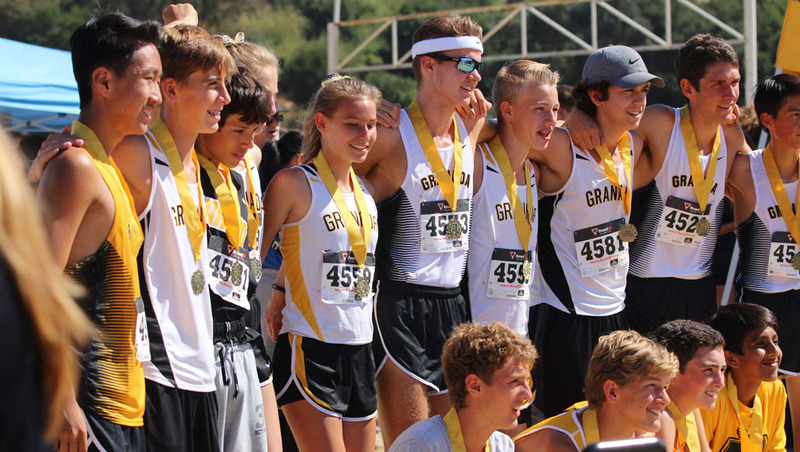 With another shot at the course in 5 weeks, there’s no doubt we will see an onslaught of personal records from GHS runners. 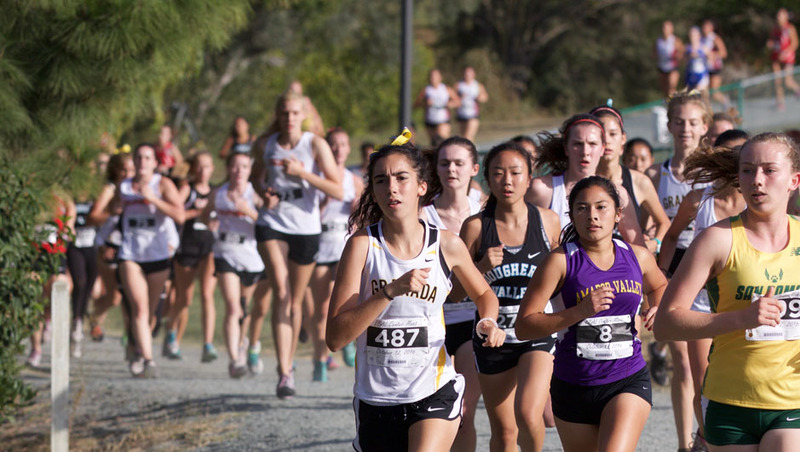 The Matadors continued their fantastic racing performances on Saturday at the Farmer Invitational on Hayward High’s North Coast Section championship course. The course this year is slightly altered to accommodate stadium construction. Officially, the meet does not have a team competition and instead the top 25 finishers in each race receive medals. 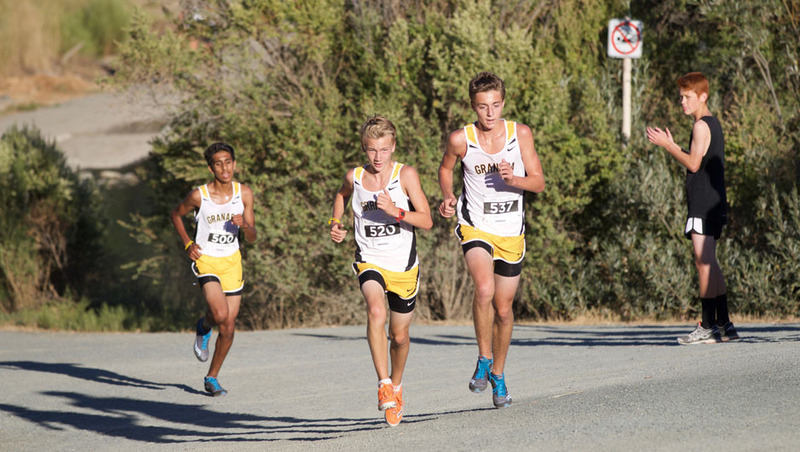 Freshmen boys race medalists included Yarin Dan (5th), Rocklin Dhaliwal (11th), and Anthony Guerra (17th). The frosh-soph girls race medalists included Paula Leigh (4th), Taylor Bond (5th), and Clara Crittenden (25th). 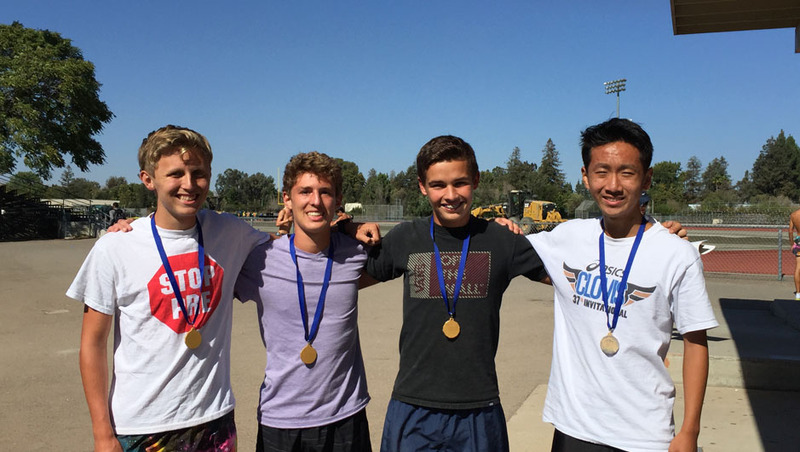 The sophomore boys race medalists included Julian Galicia-Thomas (2nd) and Andrew Lau (18). The JV girls race medalists included Lexie Homen (9th) and Lindy Girardelli (21st). Peter Vance (12th) medaled in the Open boy race. 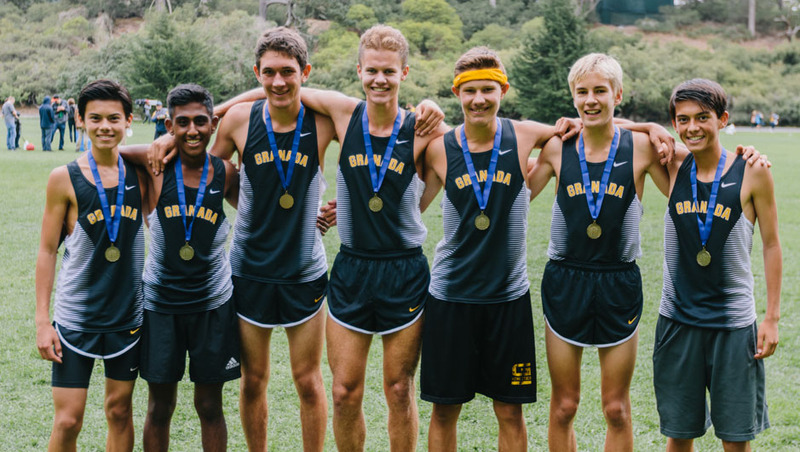 All ten boys medaled in the JV race with Andrew Walker winning the race, followed by Seth Jeppson (2nd), Shlok Bansal (5th), Cameron Meier (6th), Kevin Plant (9th), David Wang (11th), Benjamin Hatch (12th), Caleb Hardesty (14th), Matthew Reddick (16th), and Ben Dupuis (17th). The varsity girls race medalists included race winner Kinga Bihari, Colleen McCandless (4th), Kalea Bartolotto (7th), and Kaylie Lawsen (13th). The varsity boys race medalists included John Bennett (3rd), Tyler Hattori, (6th), Cameron Priest (7th), Alex Hattori (8th), Christopher Kilday (11th), Kinaar Desai (13th), and Samuel Jeppson (14th). Photos courtesy of Bob Priest. Start of the varsity girls race at Hayward. 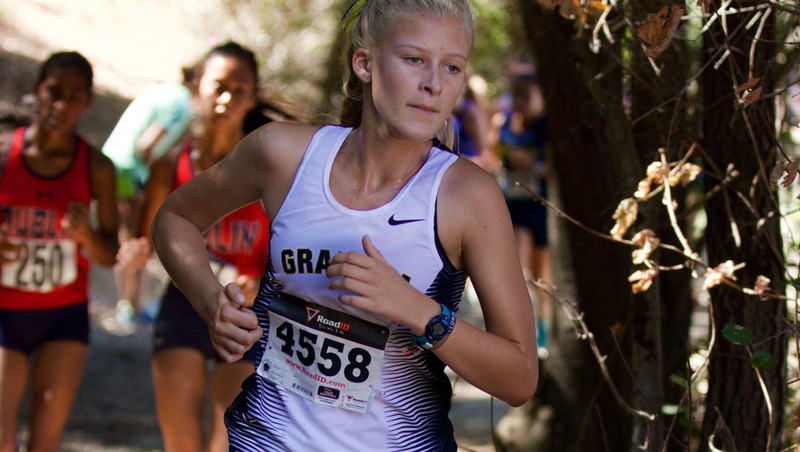 Kaylie Lawsen was Granada’s 4th runner in the varsity girls race. 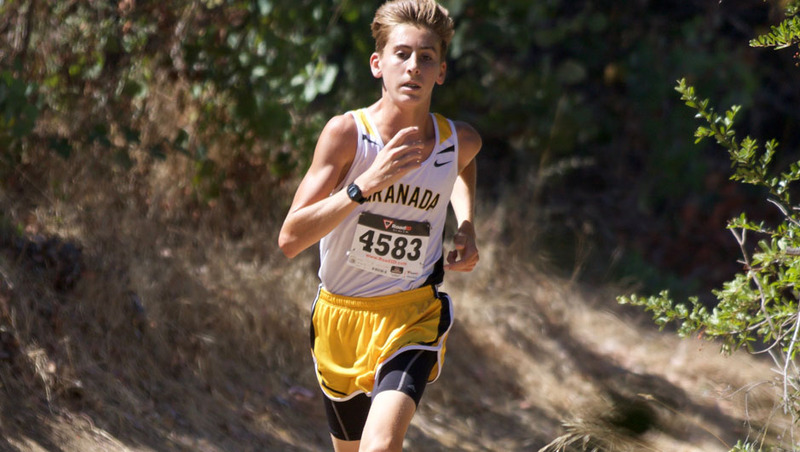 Andrew Walker on to winning his second JV race in a row. Yarin Dan finishing in the top 5 in the freshmen boys race. A glorious day in San Francisco for the Lowell SF Invitational at Golden Gate Park. 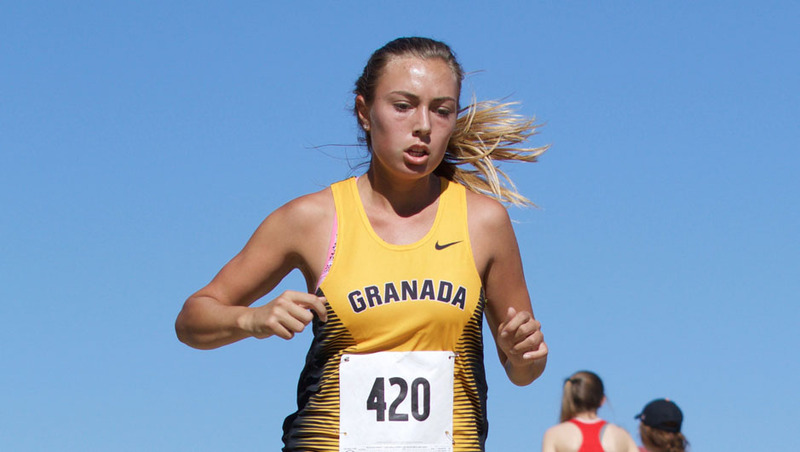 Granada runners at all levels improved their racing speed over the first race in Tracy. 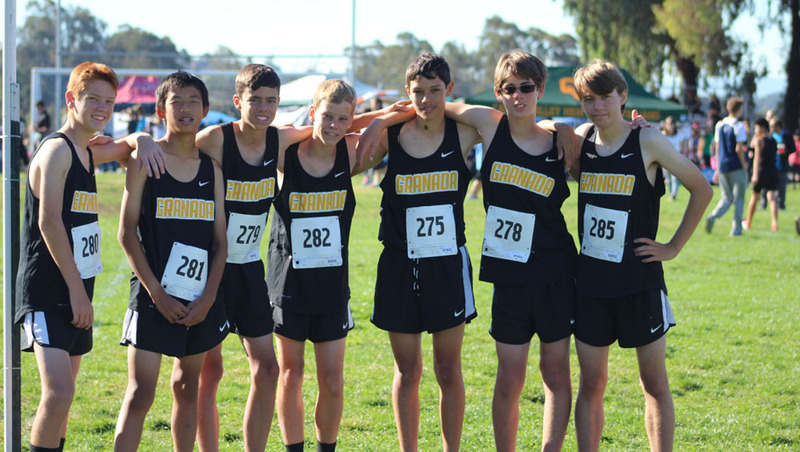 The freshmen boys took 5th place of 20 teams in their race and the sophomore boys took 8th of 20 teams (2.13 miles). The frosh-soph girls took 7th of 21 teams (2.13 miles). 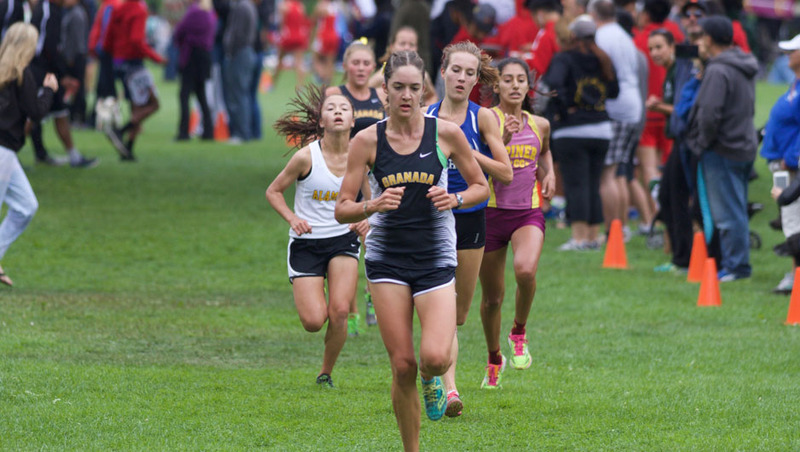 In the non-varsity 2.93 mile race, the girls did not field a complete team but had a top 20 finish from Lexie Homen. In epic style the non-varsity boys crushed the field finishing first through eleventh! That level of dominance had never been seen before. 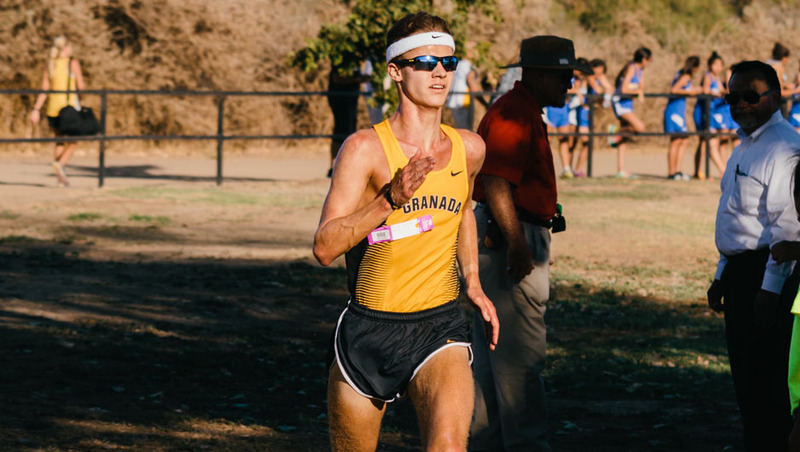 Andrew Walker paced the group and collected his first individual cross country win. However, the top 7 members of winning teams receive medals but no one else…so we had four boys that should have also earned medals. Kaylie Lawsen’s grandpa to the rescue as he made medals for our brethren! You can view a picture of the boys posing with their medals above. The varsity teams again proved that they are worthy and each won their respective races. 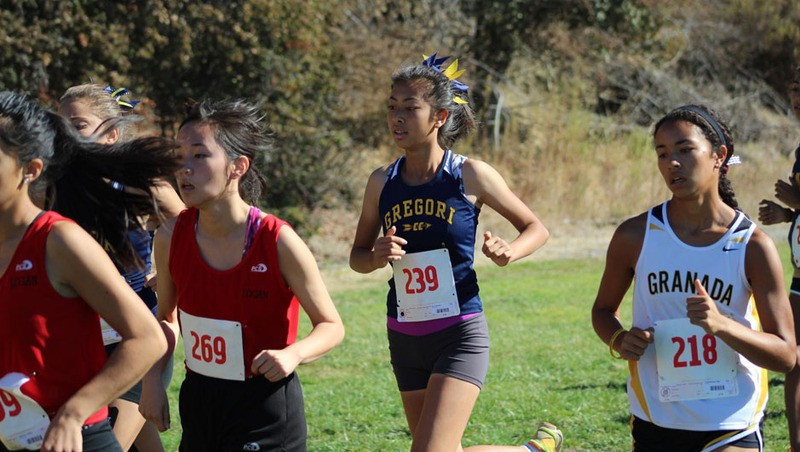 The girls won with 90 points defeating second place Sonoma Academy’s 133 points. Our team time of 91:04 might be the fastest all-time for that course. 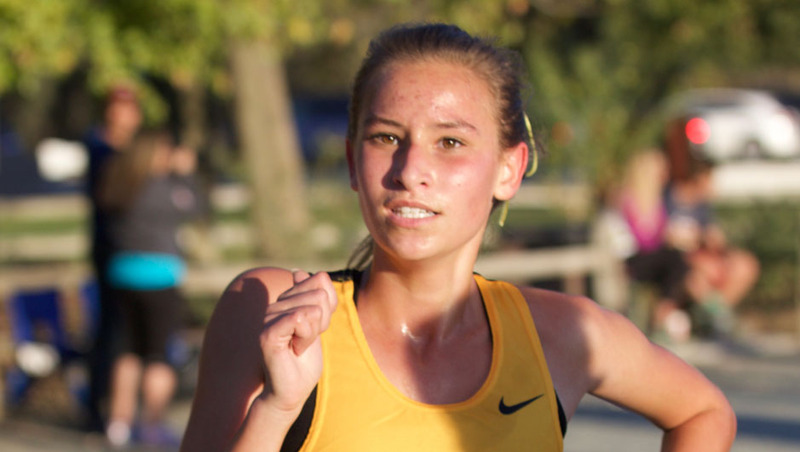 Kinga Bihari placed third running a sub 6 minute pace over the course. The boys scored just 33 points and had a tiny spread from 1-5 of about 23 seconds. 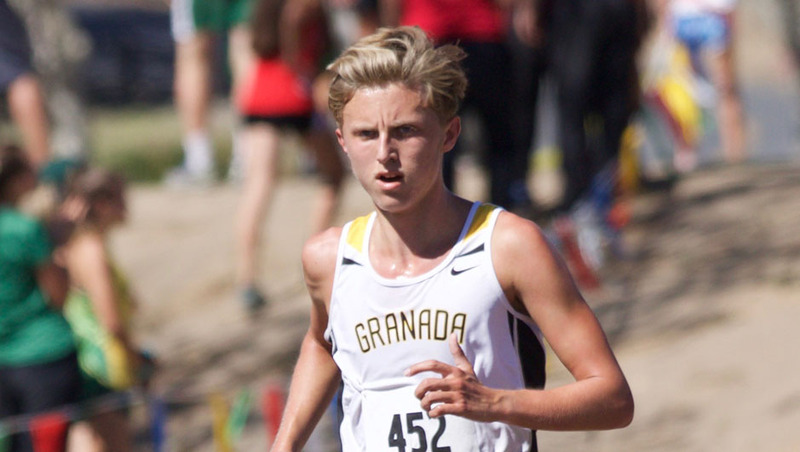 Cameron Priest was Granada’s first finisher taking second place for the Matadors. Colleen finishing in 10th at Lowell. Thanks to Kaylie’ grandpa for these awesome medals. Varsity boys with their medals in Golden Gate Park. Cameron taking second place in the varsity boys race. 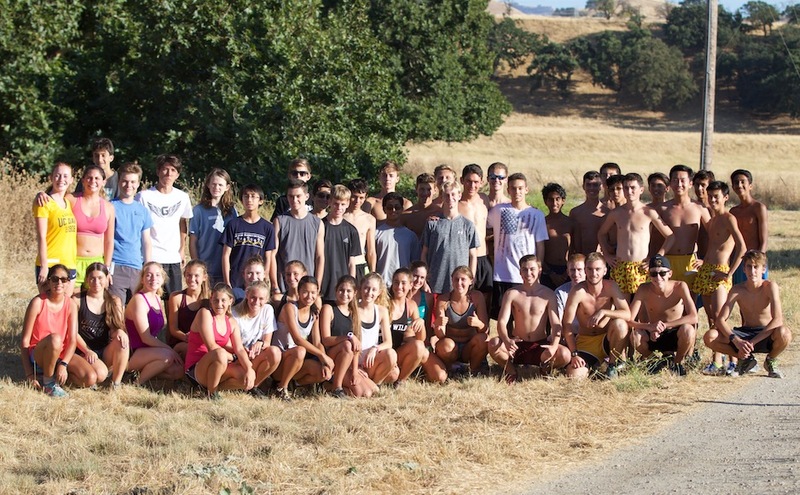 The varsity boys and varsity girls captured the team victory at the new Jaguar Invitational cross country course in Tracy. The hot conditions combined with a windy as well as sandy course made it an early season challenge. 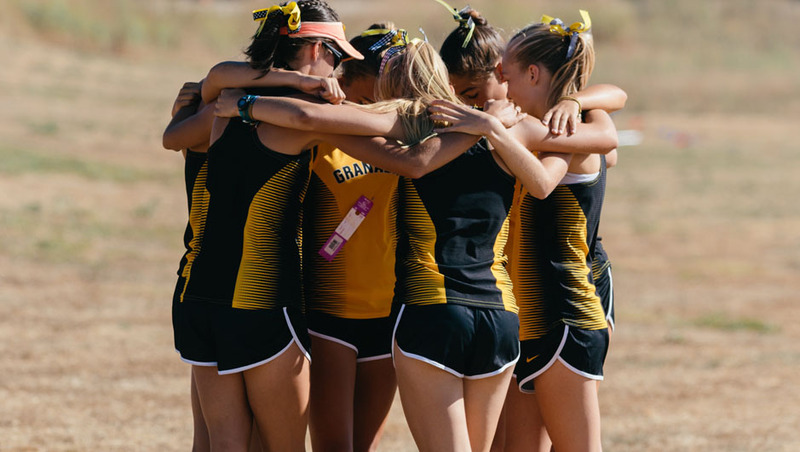 In recent rankings the girls are at #17 in the state (Milesplit.com) and the boys are at #39 in the state (Prepcaltrack.com). 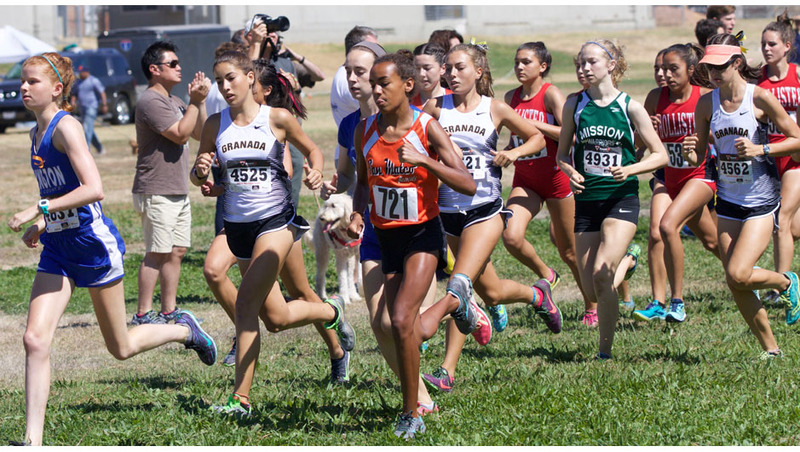 You can review all the results at XCStats.com. Thank you to Bob Priest for the photos.